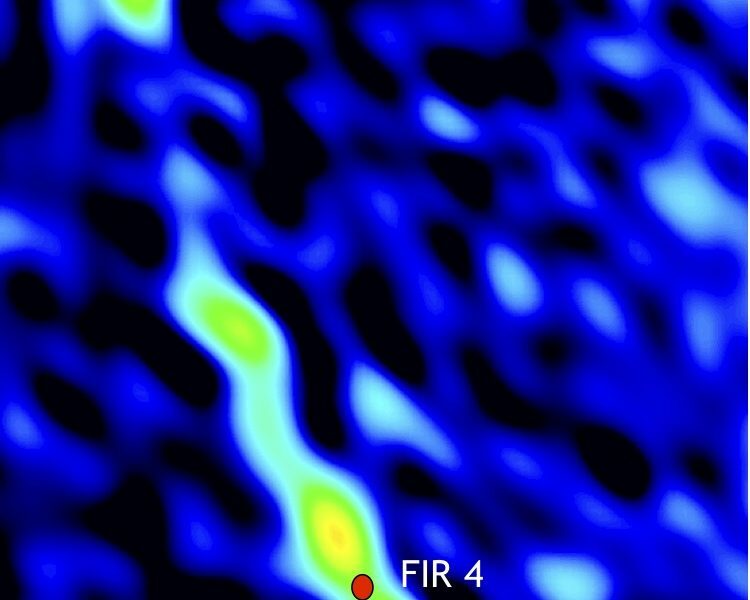 Credit: Osorio et al., NRAO/AUI/NSF. 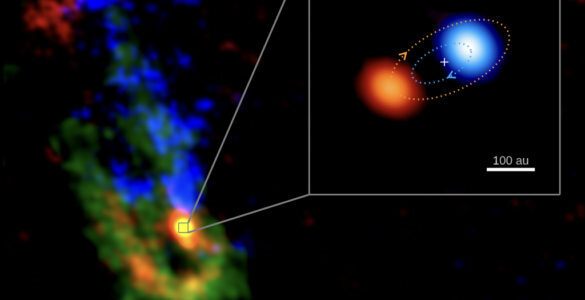 Astronomers using the National Science Foundation’s Karl G. Jansky Very Large Array (VLA) have found new evidence suggesting that a jet of fast-moving material ejected from one young star may have triggered the formation of another, younger protostar. “The orientation of the jet, the speed of its material, and the distance all are right for this scenario,” said Mayra Osorio, of the Astrophysical Institute of Andalucia (IAA-CSIC) in Spain. Osorio is the lead author of a paper reporting the findings in the Astrophysical Journal. 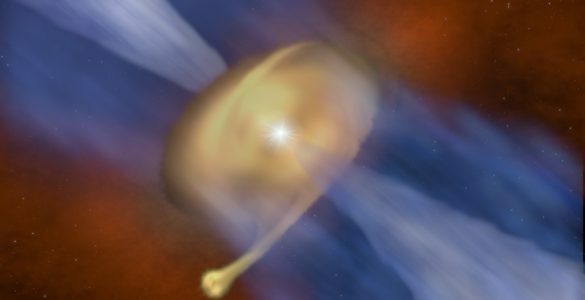 The scientists studied a giant cloud of gas some 1,400 light-years from Earth in the constellation Orion, where numerous new stars are being formed. The region has been studied before, but Osorio and her colleagues carried out a series of VLA observations at different radio frequencies that revealed new details. 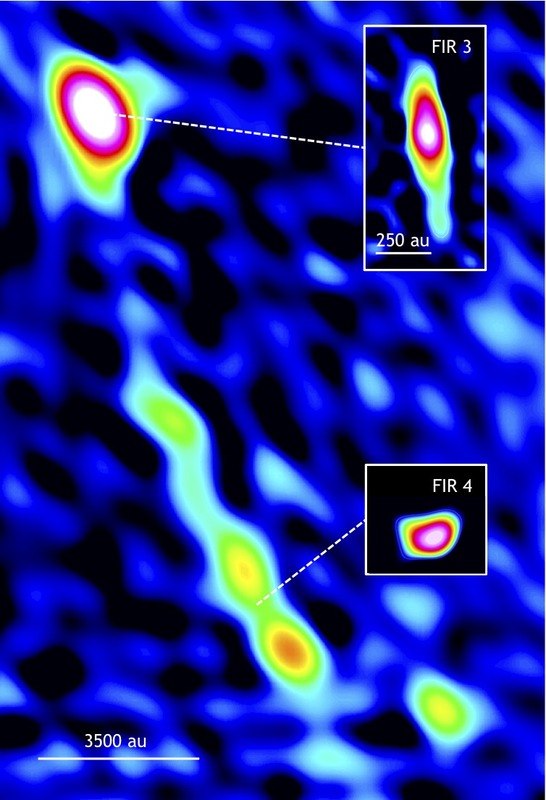 Images of the pair show that the younger protostar, called HOPS (Herschel Orion Protostar Survey) 108, lies in the path of the outflow from the older, called HOPS 370. 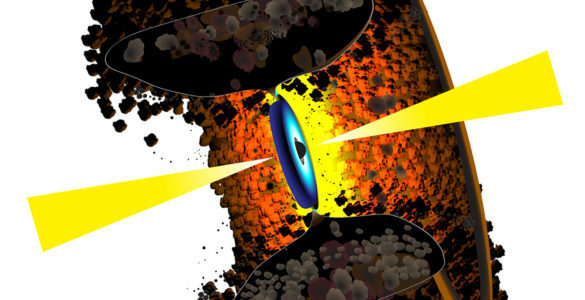 This alignment led Yoshito Shimajiri and collaborators to suggest in 2008 that the shock of the fast-moving material hitting a clump of gas had triggered the clump’s collapse into a protostar. “We found knots of material within this outflow and were able to measure their speeds,” said Ana K. Diaz-Rodriguez also of IAA-CSIC. 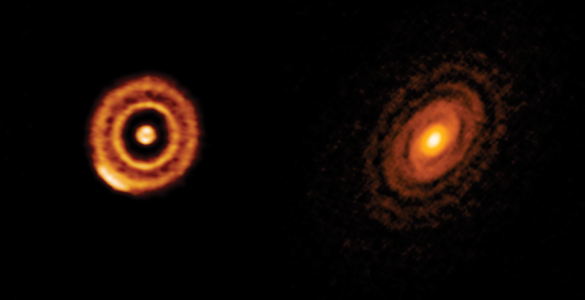 The new measurements gave important support to the idea that the older star’s outflow had triggered the younger’s star’s formation process. The scientists suggest that the jet from HOPS 370 (also known as FIR 3) began to hit the clump of gas about 100,000 years ago, starting the process of collapse that eventually led to the formation of HOPS 108 (also known as FIR 4). 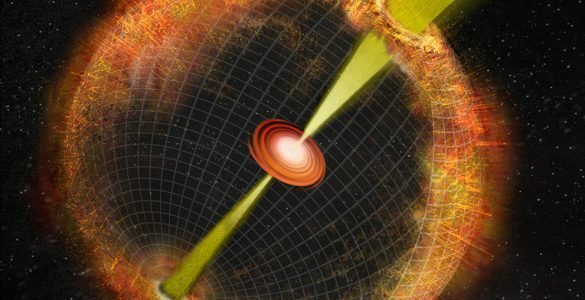 Four other young stars in the region also could be the result of similar interactions, but the researchers found evidence for shocks only in the case of HOPS 108. While the evidence for this triggering scenario is strong, one fact appears to contradict it. 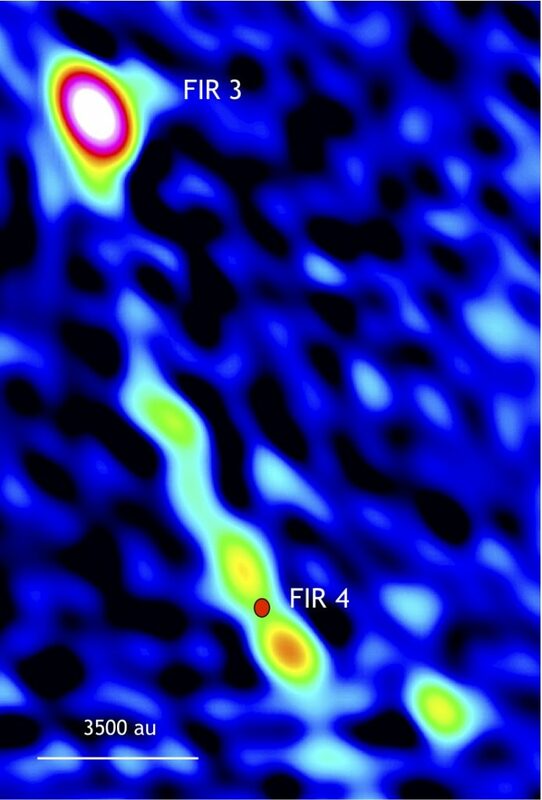 The younger star seems to be moving rapidly in a way that indicates it should have been formed elsewhere, apart from the region impacted by the older star’s outflow. 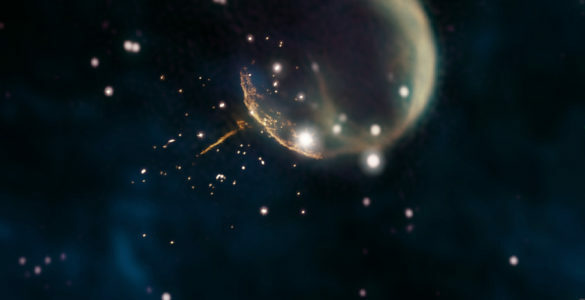 “This motion, however, might be an illusion possibly created by an outflow from the newer star itself,” explained Osorio. “We want to continue to observe it over a period of time to resolve this question,” she added.